Inspiration for summer comes just in time with Pantone's Color of the Year. 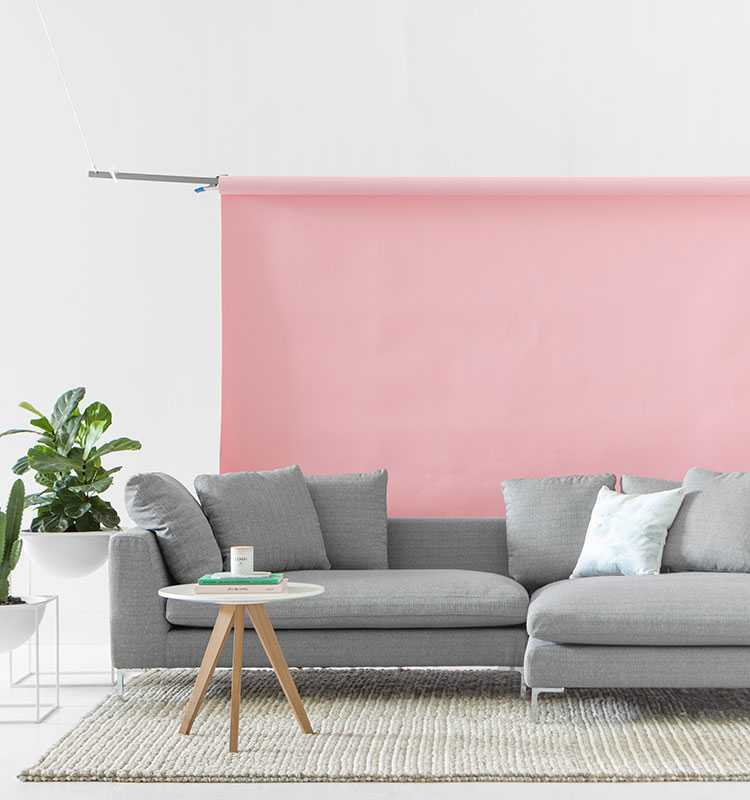 While neutral tones can last year round, a little bit of pink and green can take you somewhere surprisingly new. Shop the look, and go somewhere. The concrete grey linen weave is a choice upholstery from wry winter through to springy summer. The airy architecture is especially suited with the fresh feelings arriving with vibrant green and pink backdrops in this look. It's almost as if it was made for summer. When you're looking to create an indoor jungle, these multi-functional, multi-sized white metal planters are the perfect solution to giving height and texture. Ideal for plants, but also useful for hosting parties! Like Beau, the Dolf Side Table is an easy addition to a space looking for a little bit of poppy color. It's natural wood and white base are constantly clean and ultimately fresh. There's an non-replicable feeling you get when you don't have to wear socks or shoes because the sun's out. A little comfort beneath those bare feet is a nice touch. Keep it minimal with the natural textures of this cool Nordic rug. Cute and simple, the Beau Floor Lamp is the ideal minimalist piece. Foundational white and wood are complementary to pretty pink and plenty of greenery in any room. Beau is a friend to all. Discover a new beginning with inspiration from Pantone's Color of the Year. Click below to shop our other looks!